Many people know that I loved Pavel Bure growing up and would always try to do his moves during shinny. My main problem was that I was a goalie and would still skate bull-legged even without goalie pads on. Not very good for dangling. Pavel was one of the highest paid players in the game when we retired. It's sad his career was cut short from knee injuries. He was one of the few $10 million dollar a year players in the league - I wonder how much money he spent on Anna Kournikova. Valeri Bure's career was also cut short by injuries. 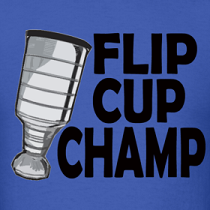 He was still able to make over $15 million from playing hockey - not bad for the younger Bure. He can use all the money to feed his kids - I hear he has a Full House at home. 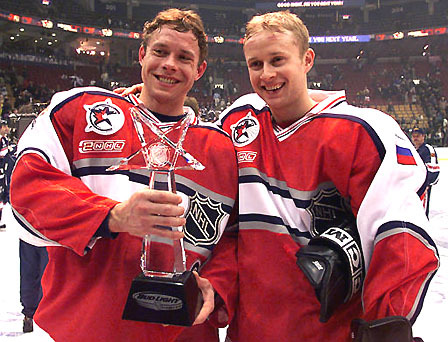 The Bure Brothers sure did well for themselves, definitely better than the Lindros brothers. On and off the ice they could grab headlines with their flashiness and their celebrity partnerships. 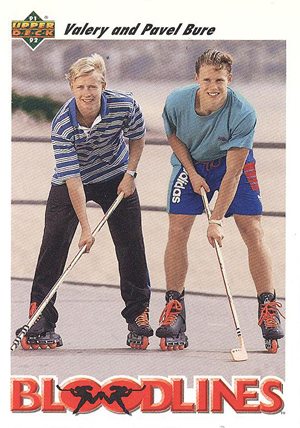 If only the the Sedin's were as cool as the Bure brothers. how long did pavel and anna date for? Ya DJ from full house is looking hot. Alot better than Anna! The Bure Boys have pretty good taste in women. The Sedin Twins are ugly as f*ck! They have the biggest foreheads in the NHL. I hate this blog! You losers can rest assured that nobody will ever hear about this site from me.